A larger, rare early image with a stamp on the back reading "Crandall, Jenny Lake". 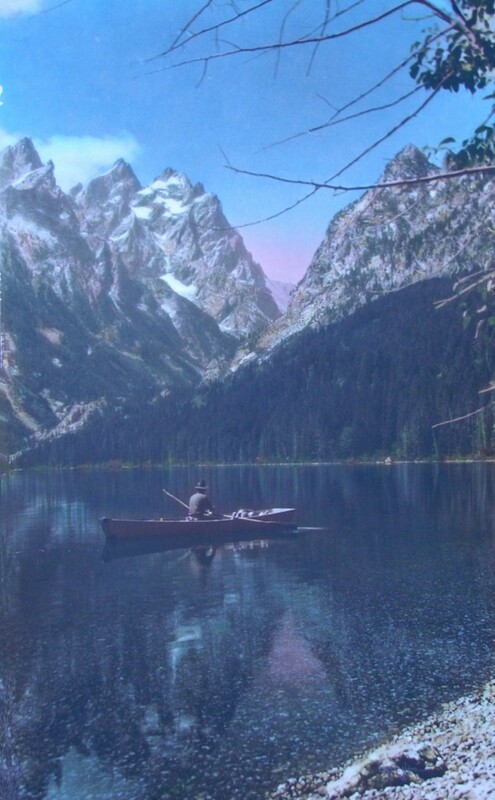 According to Crandall's daughter Quita, this indicates that the image was made prior to the adoption of the "Crandall, Teton Park" marking. This piece also has the delicate tinting that pre-dates the low resolution, high color of Crandall's later pieces. This photograph was pictured in the new biography "Harrison R. Crandall". Framed in conservation setting with UV glass.